MILAN/SAO PAULO (Reuters) -- Fiat Chrysler Automobiles hopes to raise vehicle sales in Latin America by 44 percent over five years but a recent big drop in volumes and weakening outlook in Brazil, the region's biggest economy, threaten to spoil its ambitions. Two years ago Latin America still accounted for nearly a third of Fiat Chrysler profits, helping to offset a slump in Europe sales. But that contribution had dropped to 17 percent last year and just 1 percent in the first half of this year, hit by lower tax incentives in Brazil, higher input costs, currency effects and a weakening economy. FCA's sales in Latin America accounted for a fifth of the group's total vehicle sales last year and it expects to maintain that regional share as overall annual group volumes are forecast to rise by 60 percent to 7 million cars by 2018, including 1.3 million in Latin America. When FCA unveiled its growth plans in May it referred to an IHS Automotive forecast for industrywide car and light commercial vehicle (LCV) sales in the region rising 17 percent to 6.9 million vehicles by 2018. In its latest forecast, however, IHS has cut that figure to 5.7 million vehicles, a fall of 3 percent on last year's level. "The markets in Brazil, Argentina and Venezuela have fallen really dramatically over the last five to six months," said Stephanie Brinley, an analyst with IHS Automotive. "It's not until 2017 that we see the market really picking up again." While the weakening outlook has led the likes of Ford Motor to slash their forecasts, FCA's CEO Sergio Marchionne says his firm's leading position in Brazil, with a market share of around 21 percent, gives it an advantage over rivals when dealing with market headwinds. However, even though FCA remains Brazil's market leader, its share dropped to its lowest level in two decades last year as rivals such as Toyota and Hyundai opened new plants, offering newer compact car models. And the number of auto firms manufacturing in Brazil has tripled since 1992. FCA has held its Brazilian market share this year by partially offsetting a 19 percent drop in car sales with a 20.5 percent rise in LCV sales, data from association Anfavea showed. FCA has also been relying heavily on commercial fleet sales, which could depress its margins going forward, analysts said. "They aren't promoting as heavily as other brands because they already do nearly 45 percent of their sales to rentals and other fleet companies with huge discounts," said Raphael Galante, an auto industry consultant with Sao Paulo-based Oikonomia. The discounts can be as much as 25 percent, he added. Galante said the average price for a new Fiat car was about a fifth lower than the market average, suggesting FCA has also been relying on low-income clients, an area of the market most vulnerable to further economic woes. However, while FCA has an older lineup compared to rivals in Latin America this will change when it opens a new plant in Brazil next year, with the hope that it will appeal to a more affluent middle class and the increasingly popular demand for SUVs. The Pernambuco plant is set to start producing the small Jeep Renegade in the first quarter of next year, with two other models to follow in 2015 and 2016. Marchionne has said the plant will enable FCA to return to a double-digit percentage operating margin in Brazil by 2017, the first year the plant is seen operating at full capacity. 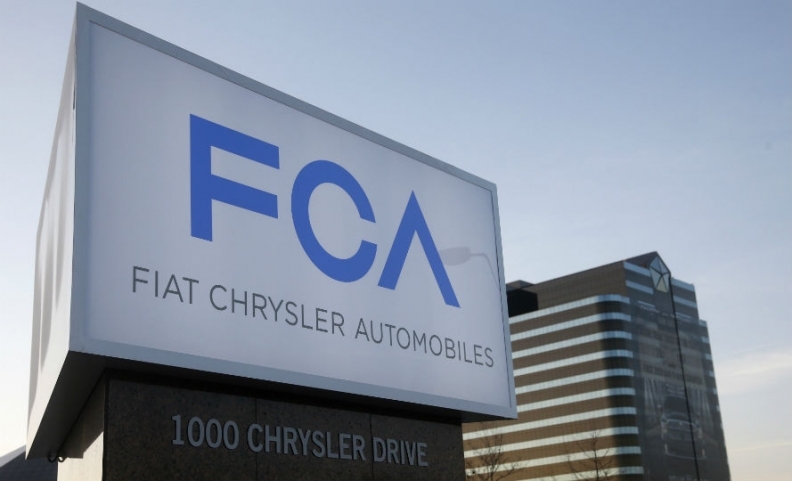 FCA's operating margin in Latin America stood at 5 percent last year. But the plant will add to growing excess capacity in a weak market, already struggling with falling sales and exports. "FCA will be in a strong position when the Brazilian market comes back but its five-year targets are way too aggressive," said Sascha Gommel, an analyst with Commerzbank. "In the next upturn the level of pricing will be very different than in the past and the market will structurally be less profitable."